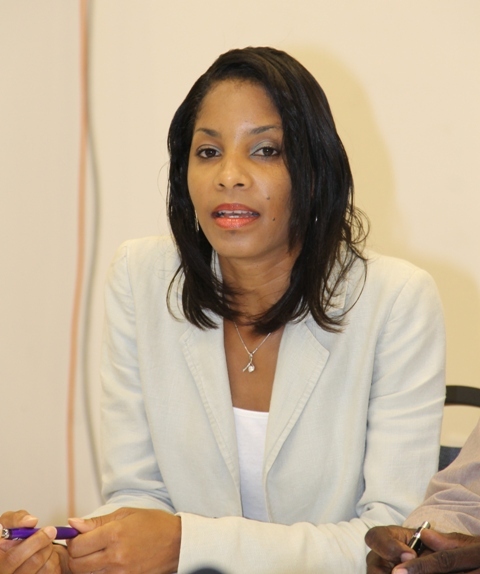 NIA CHARLESTOWN NEVIS (June 15, 2016) — Programme Coordinator at the HIV Unit Nadine Carty-Caines is encouraging first-time testers to use the Ministry of Health’s Regional Testing Day to know their HIV status. The Voluntary Counselling and Testing (VCT) event is scheduled for 9 a.m. to 3 p.m. on June 23, 2016, at the ministry’s parking lot. According to Carty-Caines, the ministry is hoping to reach first-time testers to allow them to know their HIV status. “We are hoping to reach new first-time testers, therefore, we are encouraging persons who have never been tested before to take this opportunity to get tested and know their status. “They will get their results on the same day. Hepatitis B testing and counselling will also be available,” she said. Carty-Caines also used the opportunity to urge the various communities on Nevis to get tested. She pointed to the Spanish-speaking community, the largest group living on the island. “For any outreach that we do, we are cognisant of the different communities that reside in Nevis, including our Spanish-speaking community, for them to be able to access this service as any citizen of this country would,” she said. According to statistics from the unit, Regional Testing Day which was held in June 2015, saw a total of 103 persons tested – 37 were male and 66 were female. At present, there is a total of 16 people in care and on register of which nine are male and seven are female. The first case of Acquired Immune Deficiency Syndrome (AIDS) in Nevis was diagnosed in 1987. However, at the end of 2015, a cumulative total of 68 cases have been reported with an estimated total of 31 deaths.